Serving the Ann Arbor community since 1979, we offer local and organic produce; fresh Michigan grass-fed beef, pork, lamb and poultry; fresh, sustainably-harvested seafood; an extensive, hand-picked wine and beer selection; the area's freshest, home-made deli salads, soups and entrees; and, breads and sweets from SE Michigan's finest bakeries. The freshest foods, naturally-good grocery selection and our knowledgeable nutrition staff will keep you coming back! Our Healthy Savings! flyer and monthly newsletter are located on the bottom right of this page. Hungry now??? Check out our daily hot soup menu, Deli Deals and sandwich selections. Organic Produce CSA info here. 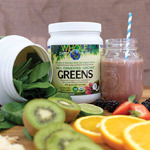 Arbor Farms Brand Vitamins & Herbs....20% off through April 28th! Michigan Grass-Fed Beef Now Available! When we get sick, we need to cleanse our systems of accumulated toxins. Observe a day’s fast when the first symptoms appear, then switch to a diet of alkaline fruits to neutralize the acidic condition of the body. Pineapple and grapefruit juice are particularly beneficial. Light food and fresh fruits may then be consumed for the next three days.